When folks tour our factory at Vermont-based Ann Clark Cookie Cutters, the largest manufacturer of cookie cutters in America, they are usually astonished to see a shelf filled with leftover recipe cards featuring the logos of many of the major universities from around the country. Our custom cookie cutter segment can turn most college or corporate logos for that matter into a cookie cutter to be used as part of a unique and fun promotion. Our latest shipment of a custom collegiate cookie cutter was the "W" for Big Ten sports powerhouse the University of Wisconsin Badgers. 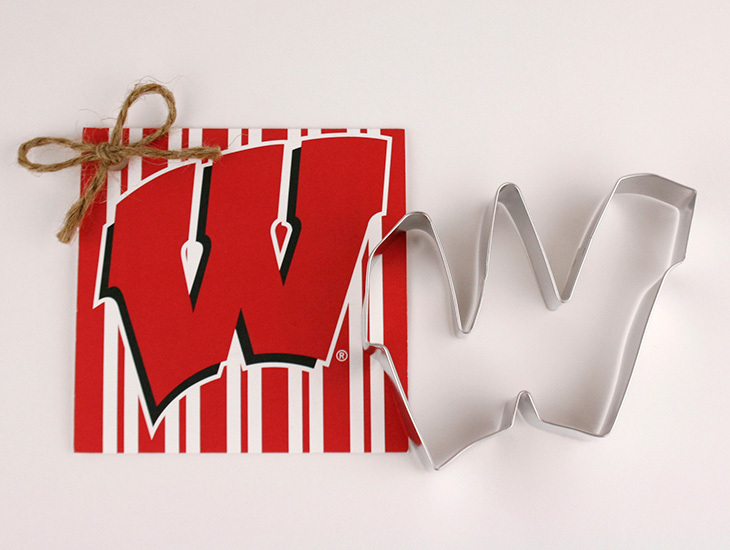 The cookie cutter shape our toolmakers made the Wisconsin "W" is spot on…so much so that Wisconsin mascot Bucky Badger wrote a personal note to us expressing his appreciation. Just kidding, but it is good. Other collegiate cookie cutter shapes that we have made include logos and mascots for schools such as Notre Dame, Texas, Washington, Oregon, BYU, Utah, Utah State, Colorado, Boise State, Arizona State, Michigan, Michigan State, Ohio State, Tennessee, Kentucky, North Carolina, Virginia Tech, Kansas State, Kansas, Missouri, Iowa, Minnesota, and many more. 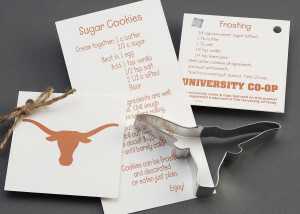 Fans love college mascot or logo cookie cutter shapes to make game day party treats and to give as gifts. The owners and staff at Ann Clark Cookie Cutters hope you enjoy the upcoming college football season. Look for our collegiate cookie cutter shapes at college bookstores and other outlets that sell collegiate products.